LOS ANGELES –– Northrop Grumman Corporation has received a $322.5 million contract from the U.S. Navy for the Advanced Anti-Radiation Guided Missile-Extended Range (AARGM-ER) Engineering and Manufacturing Development (EMD) program. 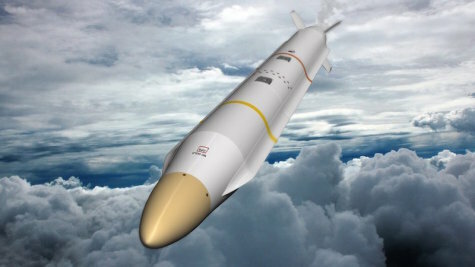 “AARGM-ER extended range coupled with AARGM lethality will meet a critical defense suppression requirement while protecting our strike aviators,” said Cary Ralston, vice president, defense electronic systems, Northrop Grumman. AARGM is an air-launched missile with the capability to rapidly engage air-defense threats. AARGM is currently deployed with the U.S. Navy and U.S. Marine Corps on the F/A-18C/D Hornet, F/A-18E/F Super Hornet and EA-18G Growler aircraft. AARGM is also integrated on the Italian Air Force’s Tornado Electronic Combat aircraft.